Illustrations: 39 Color Illustrations. 71 B&W Illustrations. Abildgaard (1743-1809) cannot be compared with any one in Danish art rather he should be side by side with the best of European art. His passion for art, intellectural curiosity and his innovation for the avant garde helped to decide the experimentation and growth in the national art in Denmark. Abildgaard never knew his own greatness, but his pictures have time after time fascinated the living artists and writers. This book concentrates on the art of the1700s, which has often been in the shadow of the golden age, the intensive1800s. Illustrations: 78 Color Illustrations. 9 B&W Illustrations. Anna Ancher is one of the foremost Scandinavian impressionist painters; her sense of color and light and sensitive brush strokes are a pleasure for every one to see. She worked in Skagen with her husband, Michael Ancher, a very accomplished artist in his own right. She also painted at the same time as P.S. Krøyer and many other famous Skagen artists. Illustrations: 37 Color Illustrations. 13 B&W Illustrations. Anna Ancher is one of the foremost Scandinavian impressionist painters; her sense of color and light and sensitive brush strokes are a pleasure for everyone to see. She worked in Skagen with her husband, Michael Ancher, a very accomplished artist in his own right. She also painted at the same time as P.S. Krøyer and many other famous Skagen artists. This richly illustrated book tells the story of her childhood, her life as an artist, wife, and mother. Included are unknown paintings, private photographs and drawings from her sketch book. ANCHER, MICHAEL MALER IN SKAGEN 1849-1999. Illustrations: 61 Color Illustrations. 24 B&W Illustrations. One of the foremost painters in Denmark from the turn of the century in Skagen Michael Ancher (1865-1927), focusing mainly on his genre paintings turning somewhat more impressionistic during his lifetime career. Ancher was known to depict the life in Skagen often the fisherman in realistic but subdued colors. 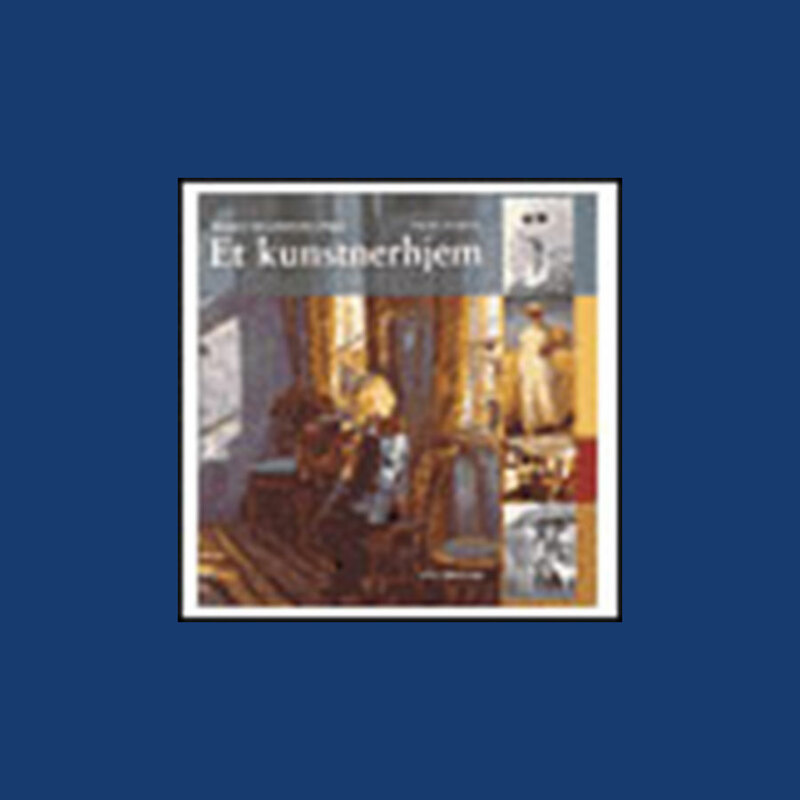 This book provides background of Ancher’s life along with his paintings and subjects. Illustrations: 57 Color Illustrations. 29 B&W Illustrations. A beautiful home where the couple lived for about 50 years; it is now a museum. This book is filled with photographs of the interior from the 1900s, when they resided there. Good pictures of their paintings, as well as by many of their friends such as P.S. Krøyer and Marie Krøyer, Viggo Johansen, Christian Krohg and more. You will have a tour of the house and of its history.